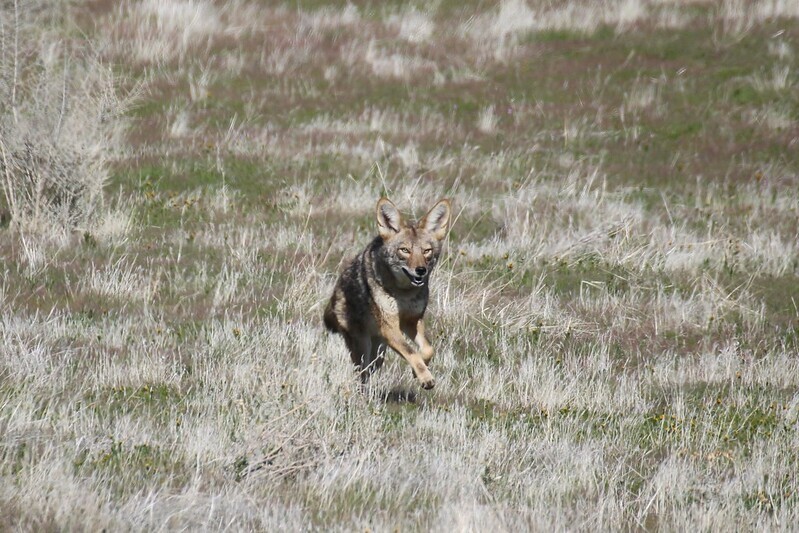 Three more coyotes and some pictures! I made my first stand this morning at 11:00am. 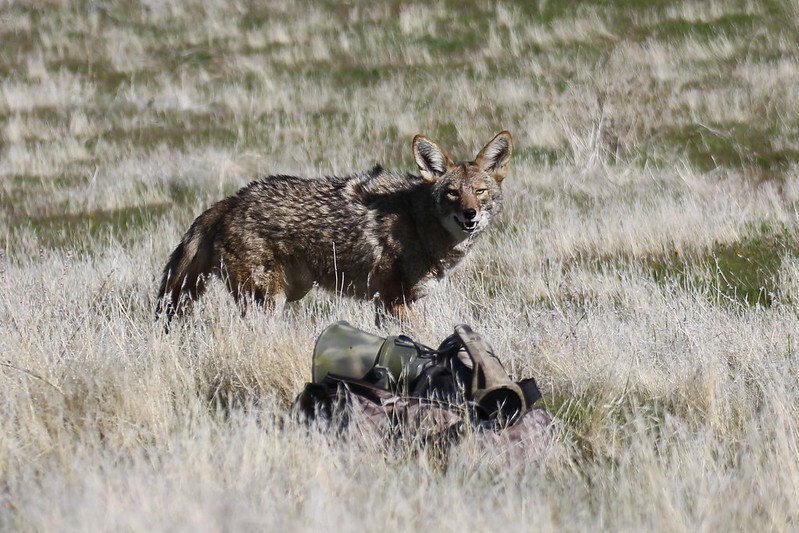 I was laying low in some sage brush with my shotgun. Right at 12 minutes into the stand I saw a coyote to my left heading straight for me and my Foxpro. 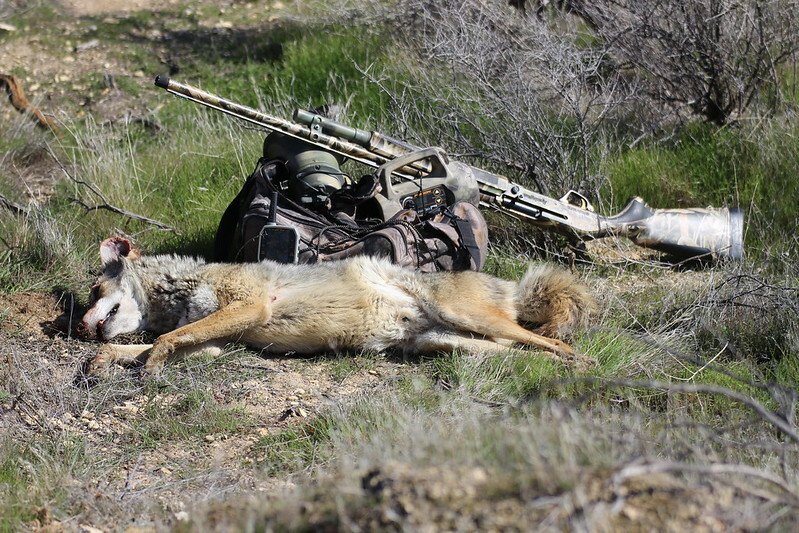 When the coyote got to about 25 yards away I sat up and dropped the coyote with a 3-1/2" 1-7/8 oz load of HW13 BB shot. On the very next stand I had my shotgun again and after playing Bay Bee Cottontail for about 5 minutes I saw a coyote heading my way. When I took the second above picture I was looking for my Foxpro to come into view on the right. I took a few more picture of this coyote before I sat up to shoot him with my shotgun. When the coyote saw me sit up he had a "I just screwed up" look on his face. He only traveled about 10 yards before the HW13 BB shot caught up with him. 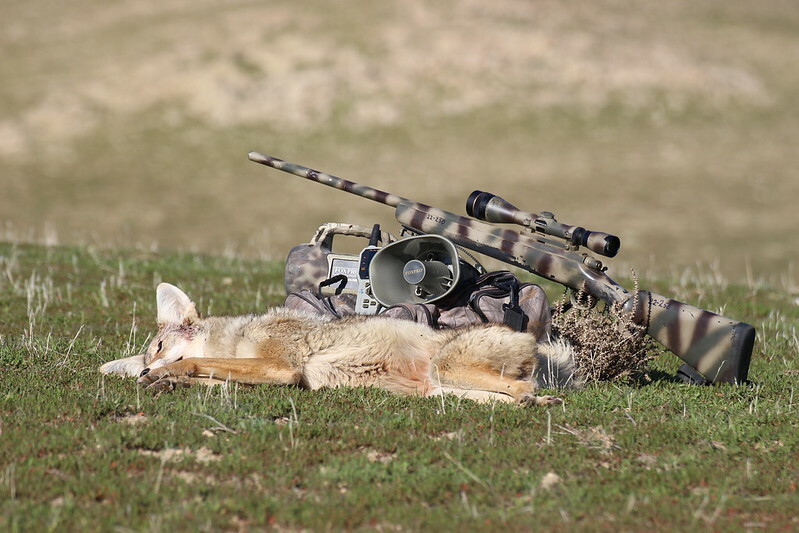 After 3 blank stands I set up overlooking a very big open area and I was laying prone with my 22-250. About 300 yards away there was a fence line. In the big field on the other side of the fence there was some horses and some Tule Elk. 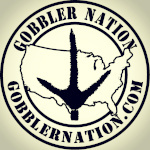 So I switched sounds to Vole Squeaks and as soon as the coyote heard the Vole Squeaks sound it started heading for my Foxpro again. When It got to about 100 yards away I muted the Vole Squeaks sound and just a little later the coyote stopped at about 80 yards away. 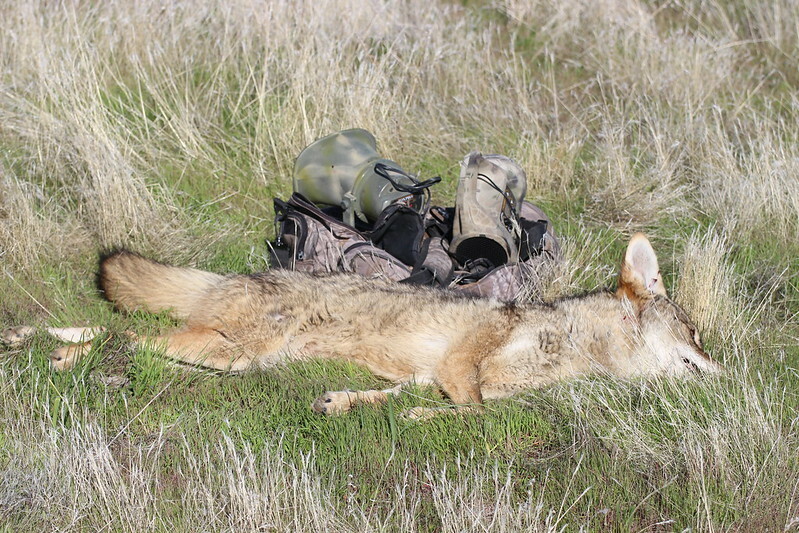 At 80 yards the coyote looked a little wider and easier to hit so I dropped him with my 22-250. 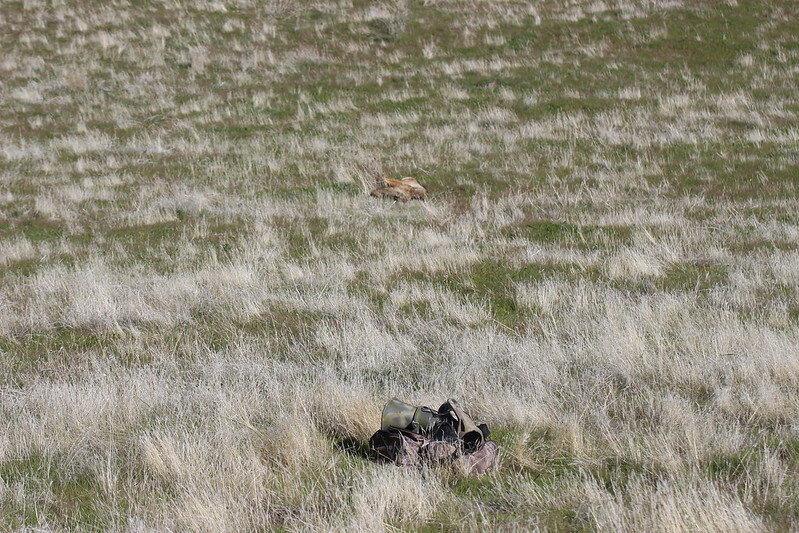 The above picture is the open area I called the last coyote out of. 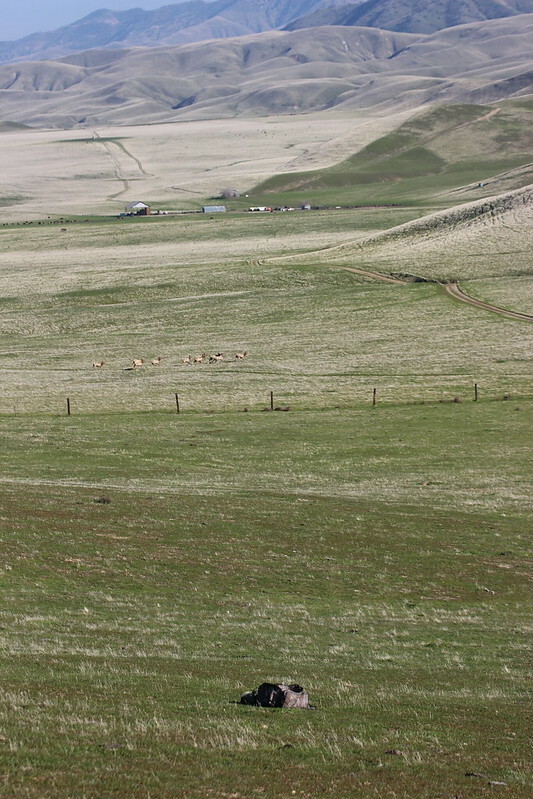 You can see the Tule elk on the other side of the fence. My caller bag in the bottom of the above picture sticks out like a sore thumb. I normally put my Fusion and the SP-60 speaker on top of my calling bag but since there was no cover I set them on the ground in front of the bag to make a lower profile. I made two more blank stands and then headed for home. It was another great day! 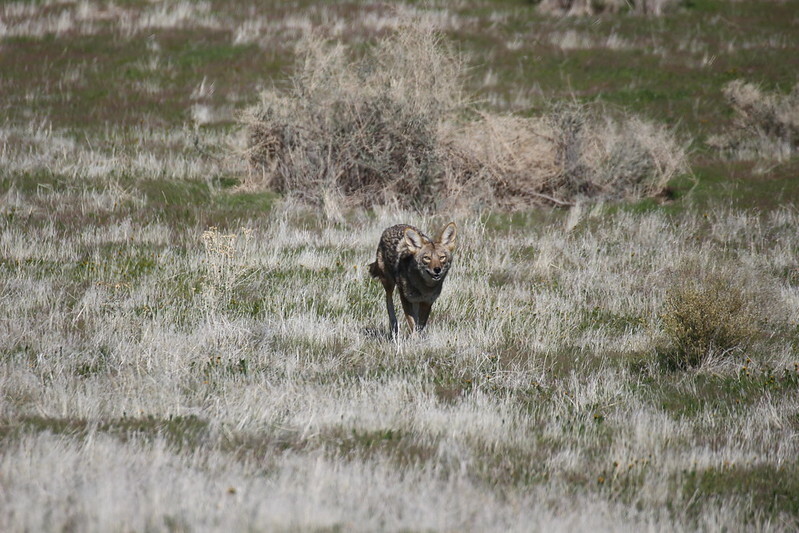 Re: Three more coyotes and some pictures! That' all "SWEET" all over again !! 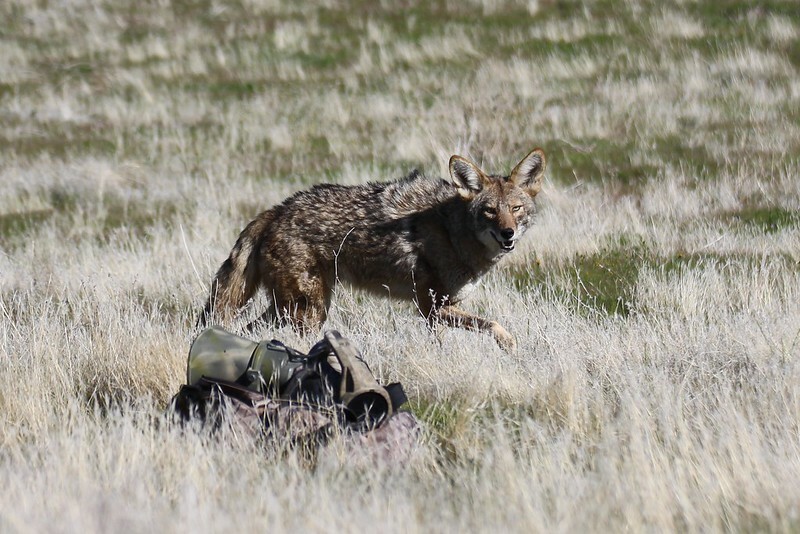 Before I started taking pictures of the coyotes I didn't realize that so many of the coyotes come in with their hackles raised. When they come in close I am pretty sure I am looking at their eyes and don't notice the raised hackles. So even though they maybe coming in to a rabbit distress sound they are ready to defend their territory if they need to. When do we get to see dead elk pictures??? ?